Sometimes primary teeth are lost before adult teeth are ready to erupt. 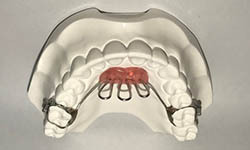 Space maintainers allow the space for the adult tooth to be held while the rest of their dentition develops. These appliances also prevent the molars from drifting forward and creating a more significant problem when it comes time to actually start the process of braces. Space maintainers come in a variety of styles that can be created to use in either arch. 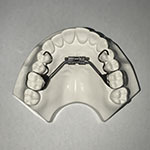 The space maintainers for the upper arch have an acrylic button that rests behind the front teeth which is used for comfort. 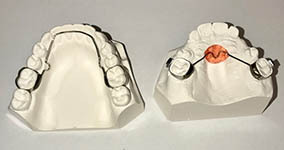 The lower space maintainers rest comfortably behind the anterior teeth. Thumb cribs are appliances that are used to discourage thumb-sucking habits. While they are not placed often, they are effective when a child’s habit persists. Thumb-sucking habits create an open bite (when the front teeth do not touch) and protrusion of their upper front teeth. The appliance is placed on the upper arch with the loops to not allow the child’s hand to enter their mouth at any given time. This appliance is used as a reminder to the patient that their habit cannot continue. 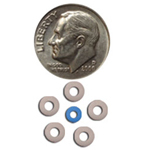 Checks are given periodically to monitor the habit and once it has diminished the appliance will be removed. 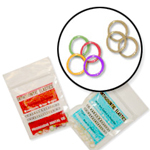 The Forsus Fatigue Resistant Device is an alternative to elastics which promotes growth in adolescents, helping to eliminate excessive overbites, improve the fit of teeth, and possibly prevent the need for jaw surgery.